When it comes to enteprise SEO, you are dealing with an 800 pound gorilla. Enterprise-level SEO done right is something you build. It requires designing a repeatable and scalable process that everyone in your organization “actually” wants to use. Collect and communicate actionable data, get organizational support for your SEO game plan, and become the change agent at your company. Are you looking to level up your SEO game? Scale your marketing efforts across platforms, seo tools and global markets? Make sense of multiple subdomains? Communicate with dozens of internal and external stakeholders effectively? Enteprise SEO process is about connecting the dots for best synergy. 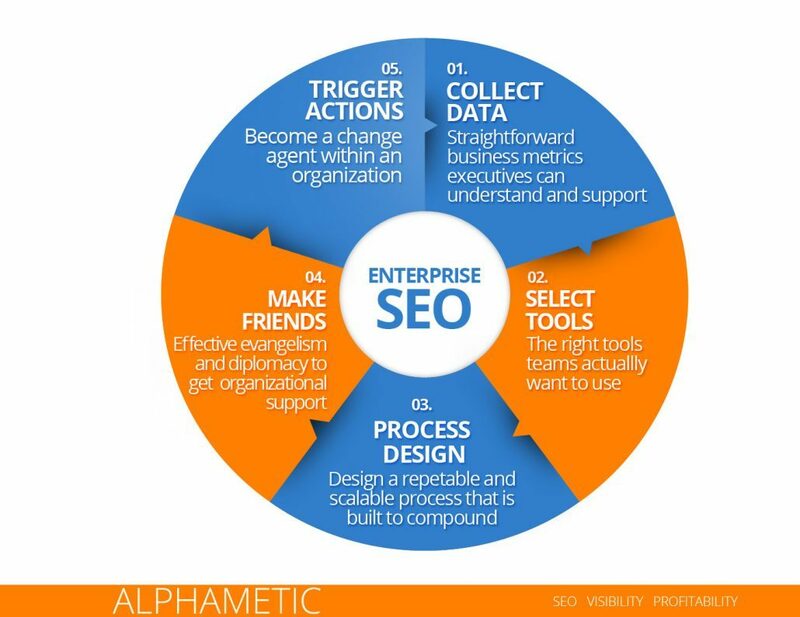 Alphametic’s strategic enteprise-level search engine optimization process is built to last. It has been developed and fine-tuned working with some of the biggest brands in the world (such as L’Oreal, Novartis, Hoval and Quest Diagnostics) to turn complexity into advantage and achieve results. 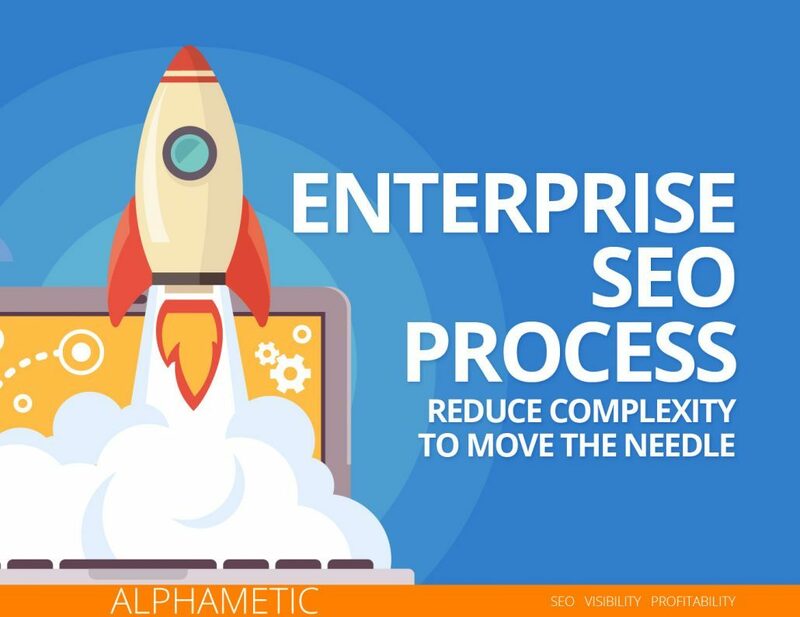 Get Alphametic’s Enteprise SEO infographic here. With over two decade of global in-house and agency experience, our leadership team has helped major brands accomplish major goals, including L’Oreal, Hoval, Novartis, Smirnoff, Unilver, VW, Audi, LG, GSK, Revlon, Kimberly Clark, Colgate, Motorola, Prudential, Dell, Porsche México, SAP, Shell, and many more. Our world-class experts will take you from where you are to where you need to be. We’ve worked with global clients in dozens of world’s largest economies, including the Americas, EMEA and APAC. Our specialist team is bi-lingual and full versed in Hispanic Search Engine Optimization – delivering results in both the US and LATAM. Alphametic is a data-first search marketing agency. We utilize dozens of SEO and analytics tools to help your team get critical insights to make informed decisions. From enteprise-level keyword ownership and global targeting to scalable content marketing solutions and technical site audits, we’ll connect the dots for best synergy. Our leadership team leads the way. We speak frequently on the topics of SEO on main stages at some of the most prestigious events in the world, including Digital Summits, ePharma, Social Media Week, Search Marketing Day, AMA, Internet Summit, Search Marketing Summit, and many more. Our work and ideas have been featured on The Next Web, Mashable, Chicago Tribune, Entrepreneur, Social Media Today, among other.